One of the most magical times in one of the most magical places in the world is winter solstice in Machu Picchu. In the Southern Hemisphere, winter solstice is the 21st of June and is the shortest day of the year, marking the start of winter. In Inca times, winter solstice was known as Inti Raymi or the Festival of the Sun. In Machu Picchu at dawn, when the very first light rises over the distant mountains, it shines through one of the two windows of the Temple of the Sun and illuminates the ceremonial stone within. The second window was for the sun’s rays on summer solstice. 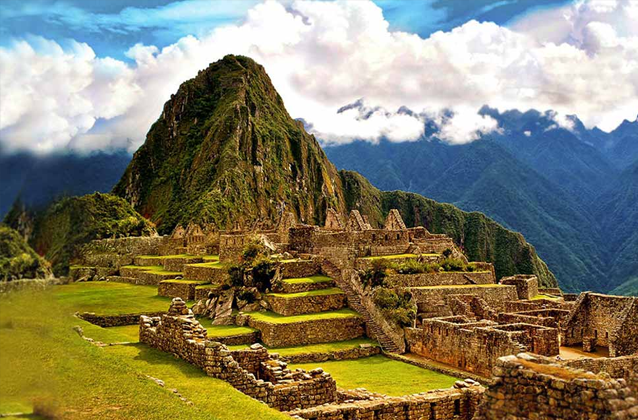 The Temple of the Sun was used to honor the Inca deity, known as “Inti.” The Inca’s would sacrifice animals, such as llamas, on the stone altar in order to ensure good agricultural production for the coming months of planting and harvesting. In modern times, Inti Raymi is celebrated on the 24th of June with celebrations and festivals dominating the Cusco streets from the 16th to 24th of June. This is one of the best and busiest times to visit Cusco. In the center of the Temple of the Sun is a large altar carved from rock, where the ceremonies and sacrifices could be performed. Underneath the temple is a cave, accessible only from the temple itself, which was believed to have been the burial site of Pachacutec. Along the back wall of the temple was a 'window' of small holes, believed to have originally held small gemstones, often called the 'window of the serpent' by modern scholars.